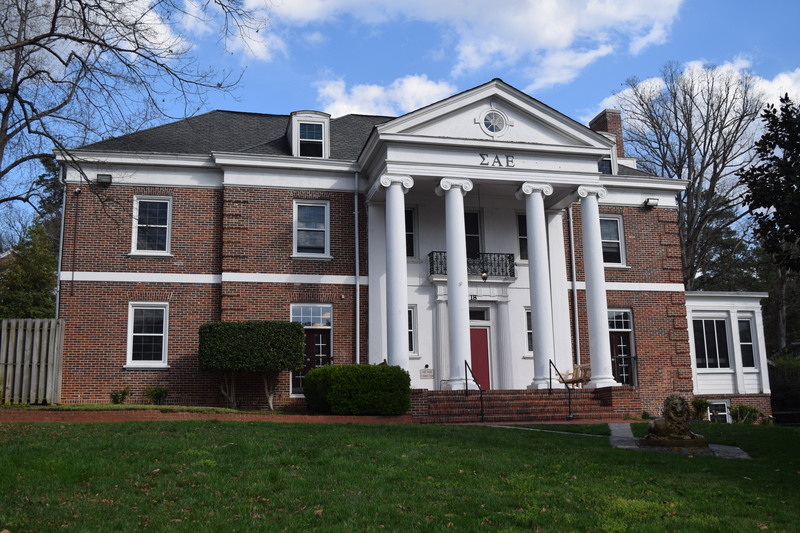 Several students living in the Sigma Alpha Epsilon (SAE) fraternity house, Alpha Tau Omega (ATO) fraternity house and Woodruff Residential Center have contracted hand-foot-and-mouth disease (HFMD). Emory University Student Health Services (EUSHS) received 11 cases as of Sept. 15, EUSHS Executive Director Sharon Rabinovitz said. Senior Director of Housing Operations Elaine Turner said her office and Building and Residential Services (BRS) have performed “extensive cleaning and disinfection processes” in the affected buildings. Cleaning efforts have mainly been focused in the SAE house but also in the ATO house and Woodruff Residential Center, according to Center for Emergency Preparedness and Response (CEPAR) Senior Administrator Sam Shartar. Emory reported the outbreak to the Georgia Department of Public Health (DPH) on Sept. 7, according to DPH Director of Communications Nancy Nydam. The disease is often contracted in daycare centers because children share utensils, Rabinovitz said. The presence of the virus on college campuses has increased recently because students engage in similar behaviors, like kissing or sharing drinking cups, she added. “We don’t know if the strain is changing, we don’t know exactly why this is happening, but this is definitely something we’re seeing more often in an older population,” Rabinovitz said. HFMD can cause a fever, sore throat, malaise and a red rash on the hands and feet, according to Rabinovitz. It can be spread through the exchange of saliva with an infected individual, respiratory droplets spread by coughing or sneezing and contact with feces. The best methods to prevent contracting the disease include practicing basic hygiene habits, such as washing and sanitizing hands and not sharing drinks or smoking products. People experiencing related symptoms should isolate themselves, and the virus will usually clear in about seven to 10 days, Rabinovitz said. SAE Chapter President Ross Warshauer (19B) did not respond to multiple requests for comment. UPDATE: (9/16/18 at 1:39 p.m.): This article has been updated to reflect a new case.